5 Hour Energy Reviews: Is It BAD For You? | Does it Work? 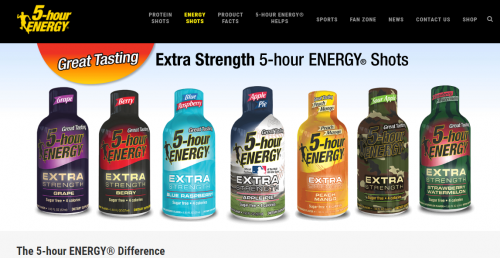 The makers of 5 Hour Energy Drink claim it is a better alternative than a cup of coffee. It contains vitamins that are good for you and it should keep you going for 5 hours. Does it really work? Our team had to find out! What's your thoughts on 5 Hr Energy? It is a small 2 oz. bottle that comes in flavors such as: Grape, Berry, Orange, Citrus Lime, Pomegranate, and the latest – Apple Pie. It doesn’t contain sugar, but that doesn’t mean it’s healthy for you. The company behind the product is called Living Essentials LLC, and it makes a couple hundred million to one billion dollars a year on average. Some of that money goes back in the form of lawsuits, but we’ll get there a bit later in the article. The makers of this product have managed to infiltrate it everywhere. If you’re visiting the supermarket, need to stop at the gas station, or pick up something from the office supply store. You’ll find bottles of this drink literally everywhere around you. This energy boosting option was marketed heavily on TV, and people got used to seeing it everywhere. But having something around you all the time doesn’t mean it’s safe for you. You should be cautious when it comes to stimulants and if you overdo it, expect health problems. Should we be worried when it comes to 5 Hour Energy? The team of Doesitwork took some extra time to research this product. Read this article to discover what we found. The makers of this drink claim it will give you a full energy boost for 5 hours. You should feel the benefits without the “crash & burn” side effects that most drinks come with. Some people actually choose to drink this daily instead of coffee. This particular brand doesn’t have sugar at all which is a positive thing. All that the sugar does is raise your insulin levels very high, but it also leaves your system super fast. You are usually left feeling tired or run-down. 5 Hour Energy promises more caffeine than a regular cup of coffee, and plenty of vitamins that work together with the caffeine. Together they should create the perfect, long lasting combination. But do they? 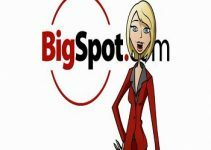 After spending countless hours researching this product we created this article. Find out what we discovered when reviewing it. How does 5 Hour Energy work? Instead of using huge amounts of sugar, this drink offers huge amounts of caffeine. On top of that, beneficial vitamins such as B6 and B12. All this in a 2 oz. bottle. The active ingredient, caffeine is a stimulant that improves your mood, memory and vigilance. Instead of receiving 95 mg of caffeine from one cup of coffee, you slurp down as much as 240 mg in a single shot. So the caffeine gives you alertness and focus, but it can also cause nervousness, irritation and sleeplessness, so have that in mind. On the other hand, the Vitamin B12 keeps the nerves and blood cells healthy. This is especially beneficial for vegans and vegetarians since only animal foods have B12 naturally. Other offers include a 6 oz. protein shot bottle that holds all the ingredients of a regular energy drink, but with 21mg of protein. Expect sugar too, just a reminder, it was the sugar that caused the crash and burn feeling after drinking an energy drink. This drink has a large dose of Vitamin B6 – 40 milligrams to be precise. The maximum daily recommended amount is 100 mg. So make sure not to drink more than 2 a day. Some people that tried it experienced a Niacin flush, that’s the B3 Vitamin that could damage your liver if taken in large doses. Some doctors have warned of insufficient testing for this product, and how mixing ingredients affects the liver or kidneys. Children under the age of 12, or pregnant women shouldn’t drink it. There is an investigation into the deaths of at least 11 people connected with consuming of this energy drink. 12 pack of Regular Strength is $27.95 (shipping is free only if you buy 2 packages and you get a “best price” offer.) Meaning you’ll probably spend $55.90 to get the better price & free shipping. You can also get hats, sweatshirts, jackets, and all kinds of gear on their official website. Is 5 hour energy bad for your kidneys and liver? If you go overboard with caffeine intake you’ll experience kidney or liver problems. The daily recommended dosage is one bottle. If you take more than 600 mg of caffeine a day (that would be 3 bottles) you risk serious liver damage. How much caffeine in 5 hour energy? You get 215 mg from the regular and 242 mg from the extra strength option. Is it safe to drink it regularly? It is not safe to drink it regularly. We would say, drink it as little as possible. Only when you really need to. Is it the most powerful energy drink? Nope, it is actually 7th on the list. DynaPep comes at number one with 714.3mg of caffeine per fluid ounce. Number 2 goes to Vital 4U Liquid Energy with 305.6mg/fl oz and third place belongs to Sreamin Energy Max Hit 303.9mg/fl oz. Are energy drinks addictive? Yes they are, and they can crash you and your spirit harder than any fatigue. Actress Demi Moore fought her addiction for a decade! Here’s 12 signs to determine if you’re an energy drink addict. Most people that tried it agree that it works for them, they feel focused and alert. It does last a long time. We liked the variety of flavors. Health risks associated with consuming of this drink, liver failure sounded pretty grim to us. Could cause a Niacin flush, a feeling of creepy crawlies. Many lawsuits throughout the years. A possibility for vitamin overdose, read the labels. They are known to be addictive for certain people. 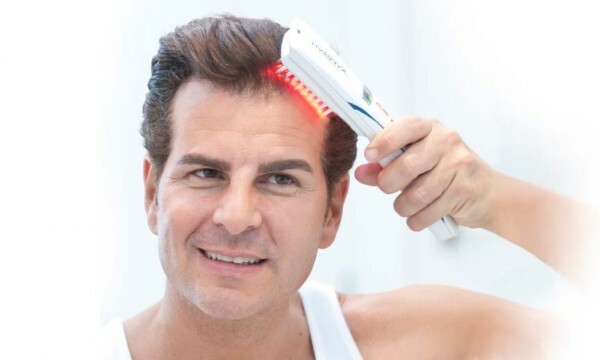 To be fairly honest, most people that have tried this product say it works for them. They know that they have a reliable potion to turn to every time they need a boost. The taste is not the greatest, but it’s not as bad as it could be. Energy drinks are notorious for their bad taste. This is where the positive stops, and the negative keeps on going. Since their beginnings in 2003, the founders of 5 Hour Energy have been involved in a lot of scandals. The last one in 2017, following a court order, had to pay $4.3 million to the state of Washington for deceptive ads. Turns out 5 Hour Energy doesn’t really last as long as 3-4 cups of coffee. Deceptive ads is just the tip of the iceberg when it comes to the harm that this company has done, and the health risks associated with it. We would like to remind you it is not FDA approved, but neither are the rest of the “energy” drinks. Still, having deaths connected to your product is not a good vibe at all. Talking about the different flavors would be a waste of time. Everyone knows energy drinks taste poorly, and no one really cares about that aspect. We drink them for the feeling, not for the taste. We have learned today that advertising companies throw ingredient lists at you, together with their health benefits. This obvious marketing trick is made to confuse you. If you’re still asking whether 5 hour energy shots are bad for you, the answer is yes, they truly are. The side effects of regular consumption are deeply troubling to say the least. Increased doses of caffeine can be bad for your heart, and they can raise blood pressure. They are not healthy to say the least, and if it causes liver damage it does not work for me. To be quite honest, we all know everyone will keep drinking energy drinks long after this article. They absolutely are a huge part of our culture, and they’re here to stay. But make sure you drink in moderation, for all the reasons stated above. Do you agree with us? Are you a coffee type, or you’d rather grab an energy shot before going out on to that meeting? 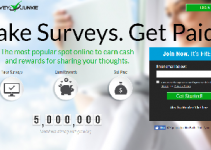 Survey Junkie reviews: legit or big scam? 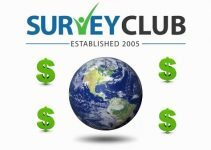 Survey Club reviews: how much money can you really make?